At Positive Behavioral Connections, we are a team of highly-trained Board Certified Behavior Analysts (BCBAs) and therapists dedicated to applying the principles of applied behavior analysis (ABA) to help your child reach his or her full potential. We are here for you, every step of the way. Nicole (Zeug) Walker received her master’s degree in behavior analysis from the University of North Texas and has been designing and implementing programs for individuals with intellectual and developmental disabilities, primarily autism, since 2003. Since becoming a Board Certified Behavior Analyst (BCBA) in 2008, Nicole’s work has focused on serving children on the autism spectrum in their homes, schools and in clinics. She has peer-reviewed publications in the Journal of Autism and Developmental Disabilities and Behavior Analysis in Practice, focusing on providing evidence-based interventions for this population. Nicole has a strong interest in determining the best possible strategies to teach new and meaningful skills for each individual she serves. Alissa received her undergraduate degree in psychology from Kalamazoo College and continued on to the University of Oregon, where she earned a master’s degree in early intervention. She went on to continue graduate coursework in behavior analysis at the University of Washington before sitting for her board certification exam as a behavior analyst. Alissa has been working with children and adolescents with autism and other disabilities since 2005. She has experience implementing positive behavior programming for children with disabilities and their families in the community, school and home environments. 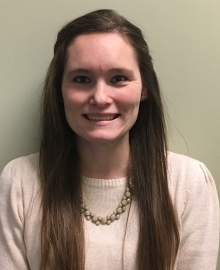 Alissa’s interests include early intervention assessment and programming, functional behavior analysis, play-based learning and verbal behavior instruction. 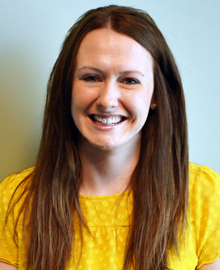 Allie received her undergraduate degree in psychology from Creighton University and continued on to earn her master’s degree in psychology with an emphasis on applied behavior analysis from the University of Nebraska at Omaha. In 2015, Allie became a Board Certified Behavior Analyst. Allie has been working with children with autism in home, school, and clinic based settings since 2011. 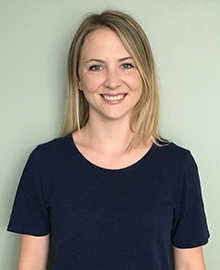 Allie has a strong interest in implementing evidence-based programs in the area of verbal behavior, providing parent training and support, and functional behavior analysis. Allie also has an interest in generalizing social skills to a natural group environment. Allie is dedicated to working with families to develop the most functional individualized treatment goals for each of her clients. Kelly received her undergraduate degree in rehabilitation services from Southern Illinois University Carbondale. She went on to continue graduate coursework through SIUC in behavior analysis and therapy before sitting for her board certification exam as a behavior analyst. Kelly has been working with children with autism in home, school, community, and clinic based settings since 2009. 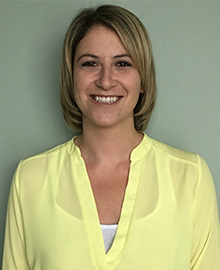 Kelly’s interests include implementing and developing early intervention programs, implementing evidence-based programs to increase social skills, natural environment teaching and play, and providing parent training to help support families. Caity received her undergraduate degree from the University of Wisconsin-Milwaukee in psychology and sociology. She continued on to earn her master’s degree in Applied Behavior Analysis from Aurora University before sitting for her board certification exam in May 2017. Caity has a history of working with children with disabilities since 2014 in clinical and home settings. 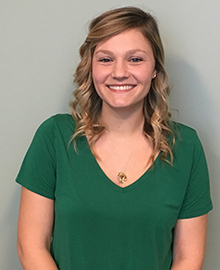 Caity’s interest includes implementing evidenced-based programs focusing on verbal behavior, increasing social skills, and natural environment teaching. Caity is dedicated to providing the best possible services for each child and family to help improve the overall quality of life. Jenn received her undergraduate degree from the University of Kentucky in Psychology and Special Education in Moderate and Severe Disabilities. She continued on in her education to earn her Master’s Degree in Applied Behavior Analysis from Florida State University before sitting for her Board Certification exam in May 2017. Jenn has a history of working with children with disabilities since 2012 in school, home, clinical and community settings. 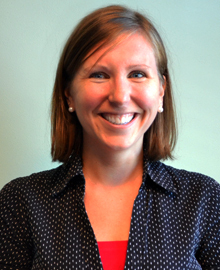 Jenn’s interests include implementing evidenced-based practices to natural environment training, increase social and adaptive living skills, and incorporating behavioral skills training within parent training. Jenn is dedicated to work alongside families to develop the most functional programs and incorporate the best possible strategies for their child.